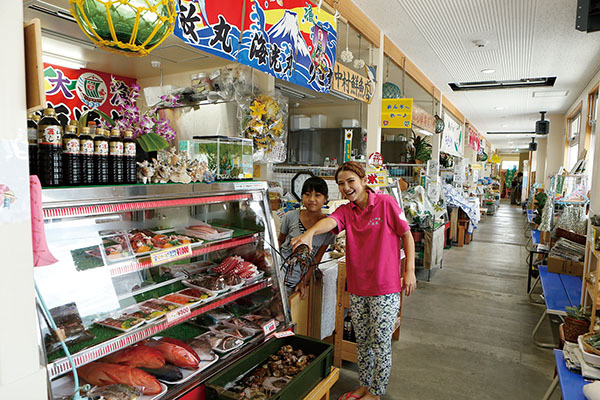 This seafood market opened at the end of 2014 on the well-known fishing island of Ou. 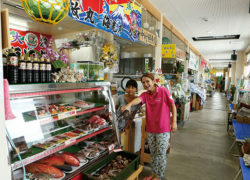 In addition to the island’s specialty seafood, the market also features processed goods and fresh Ou Island produce. Prices are reasonable with locally caught block or sliced sashimi for around ¥500, or ready-to-eat seafood bowls for ¥300. goods and fresh Ou Island produce in addition to the island’s specialty seafood. ready-to-eat seafood bowls for ¥300.